The content has been revitalized to focus on new technologies and techniques. 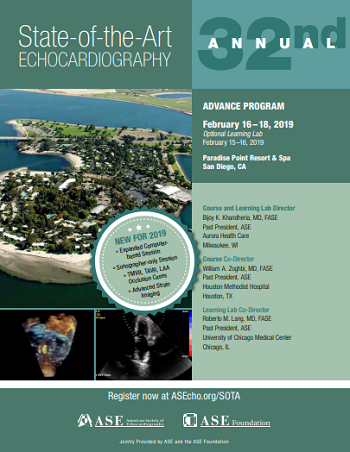 The faculty will provide expertise on strain imaging, 3D echocardiography, valve disease, and intervention. Live imaging will allow attendees to watch experts perform these new imaging techniques. Particular attention will be paid to knobology and how to incorporate these techniques into practice.